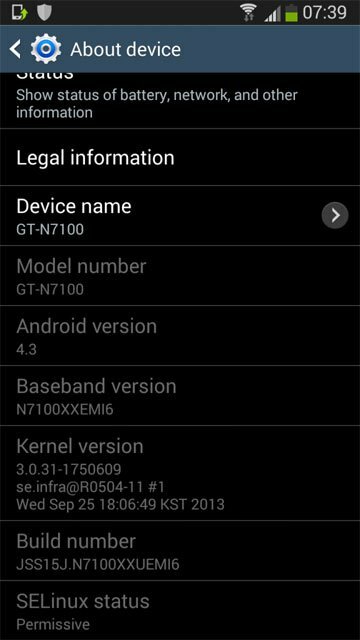 In the previous post, we shared the Android 4.3 leaked firmware for theSamsung Galaxy S4 LTE, and now there is one more test firmware out for the international Galaxy Note 2 GT-I7100. Such leaks of the latest Android basedfirmware clearly indicate that Samsung has been testing Android 4.3 on some of its older flagships like the Galaxy S4. S3 and Note 2 and also that the official release of the new update is just a matter of weeks. If you own the Galaxy Note 2, however, you can try the Android 4.3 firmware right away to get an idea what it’ll be like in its final release. Android 4.3 update will be a major jump for the users of the device who have been using Android 4.1.2 for a long time and seen no significant update for months. As it is a test firmware, it is sure to have some bugs, but to believe the users who have already tested it, the N7100XXUEM16 firmware is pretty stable and brings a host of new features to the device. 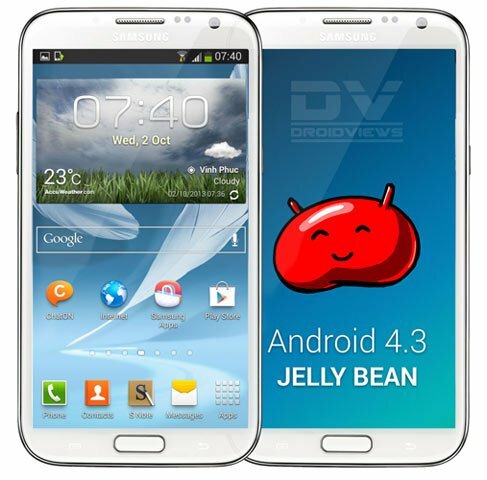 Here are the details of a available Android 4.3 firmware for Samsung Galaxy Note 2 GT-I7100. The firmware provided on this page is only meant for Galaxy Note 2 with model number GT-N7100. Please check your phone’s device info from Settings> About and proceed only when you are sure. Install the firmware at your own responsibility. Installing the firmware will wipe the data of your phone, so backup them first. Download the firmware file from above and extract the zip on your desktop. Download and install Samsung USB Drivers Or Kies if you do not have it already installed. Charge you phone to ensure decent battery level. Backup your phone’s data like apps, contacts, messages, etc. Use These Apps to do it. Boot your phone in Download mode by pressing and holding the Volume Down+Home+Power buttons at the same time and then press Volume Up when prompted to enter Download mode. Launch Odin and connect your device to PC. Do not touch anything on Odin and click the AP button. Then select the file with.tar.md5 extension from the firmware folder. Now click the Start button on Odin. When the installation is finished, you’ll get a PASS!! message and your device will reboot. If you experience issues like bootloop or poor performance after installing the firmware, perform a “data/factory reset” via Recovery mode.